We join Jesus back in the temple on the last day of the Feast of Booths. He is going to address the crowds one final time during this festival. He makes an offer that has everyone talking! I was curious as to why Jesus would make this offer on the closing day of the festival. I wanted to know if there was some significance to His timing so I asked Google about the festival itself. I did a little more digging than I did a few days ago to find out what happened on each of the days. I learned that I have a lot to learn, especially all the verbiage. Every time I came across a new word I had to open a new window and find out about it too. There were a couple of things I took away from all this searching that I think relate to Jesus’ timing. One was that the holiday of the Feast of Booths (or Sukkot, or the Feast of Tabernacle, or the Feast of the Ingathering) celebrated God’s provision, including how He provided for the children of Israel in the wilderness. This was to be the most joyous holiday of all and they were commanded to celebrate. The second thing I learned was that this final day was even more special. It was part of the celebration, yet also set apart. This day was the eighth day of the celebration and was more holy than the rest. It was when attention was to be focused on God so fully that it would inspire one to carry that focus throughout the rest of the year. It was also likened to not wanting to end a visit because parting was so difficult. So maybe this day, when the focus was to be acutely directed towards God, was the perfect day for Jesus to offer spiritual living water to anyone who would receive Him and His Spirit. The infilling of the Spirit hadn’t happened yet, but Jesus was offering it to the people. We have the Holy Spirit today and I’m SO grateful to Jesus for that. He brings that deeper connection with God that the final day of the feast strived for. You never have to leave God’s presence when His presence dwells within you. He is with you always. 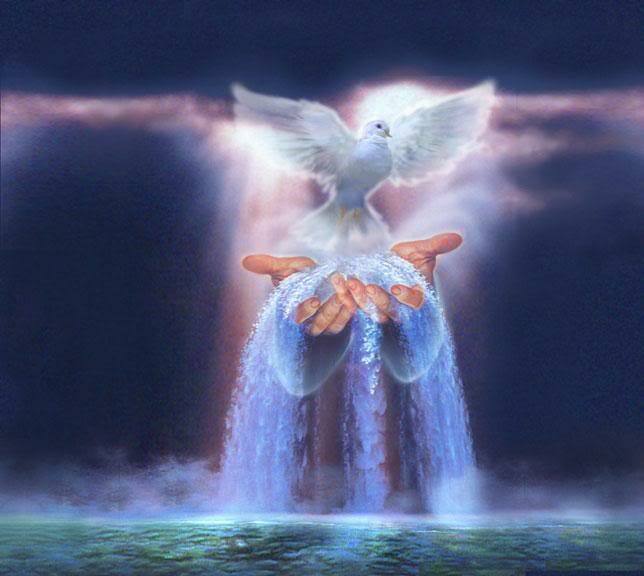 Father God, thank You for Your Holy Spirit. Thank You for the practical reminders You gave Your people. I don’t celebrate those holidays personally but by looking up their meanings and such I gain deeper insight and appreciation for Your provisions and plan. While I was thinking about all the holidays You commanded and how they were to point back to You, I got an image of someone following specific directions. The person giving the directions was so excited about how their instructions were being followed so closely, only to have the person doing the following miss the final mark completely. That’s what it was like with Israel, except they didn’t follow the directions very well at all. No wonder they missed Jesus so completely! Help me Lord to really listen. I want the waters flowing from my heart to be sweet and not polluted with bitterness or unforgiveness. Help me speak Your love to everyone I meet. Let me be a refreshing, not a polluting source. Forgive me for my anger this week towards those I work with. Help me also keep my mouth shut when I have nothing positive to add.